Four years ago IET didn’t think they would be able to find a suitable site for a Community Wind Turbine, until Scottish Natural Heritage offered one near Glenegedale. As with previous possibilities, this too initially seemed doubtful, because Islay airport was only about four kilometres away, but this turned out not to be a major problem, and the only request from Highlands and Islands Airports Ltd, the operators of the airport, has been to “Please put a red light on top of the turbine!”. There have of course been numerous hurdles along the way, but that was the turning point which was ultimately to lead to the formation of Islay Energy Community Benefit Society, and the remarkable community response which saw £535,000 raised through the community share offer, 80% from local investors. 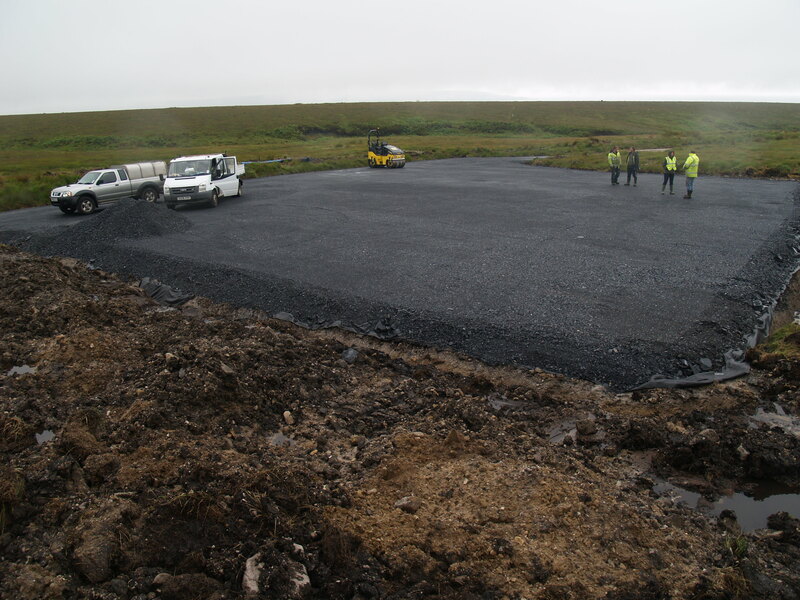 Now we are beginning at last to see progress on the ground, with the initial civils work completed, and the site ready for Enercon to come and prepare the foundation for the turbine during August. A large area of hardstanding has been created, and a crane pad constructed to accommodate the heavy lifting gear which will raise the turbine components into place. The area for the substation foundation has been concreted and the road widened in places to accommodate the delivery vehicles. Despite some early delays due to legal technicalities, the project is still on schedule for installation during October, and commissioning in November. Early and ongoing support from Community Energy Scotland, coupled with the technical expertise of Dr Colin Anderson who has acted as technical consultant throughout and is now Project Manager for the construction phase, have been invaluable in this project. Without the support of our investors, however, we would not be at this stage – thanks everyone. You are currently browsing the Islay Energy Trust blog archives for August, 2014.